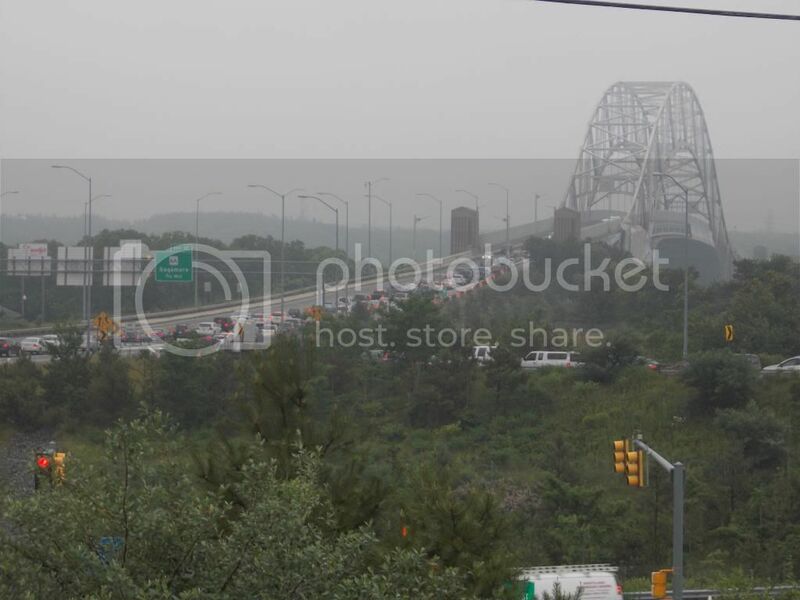 An early morning thunderstorm left a monster puddle at the foot of the Sagamore Bridge, and the traffic is well back into Plymouth. 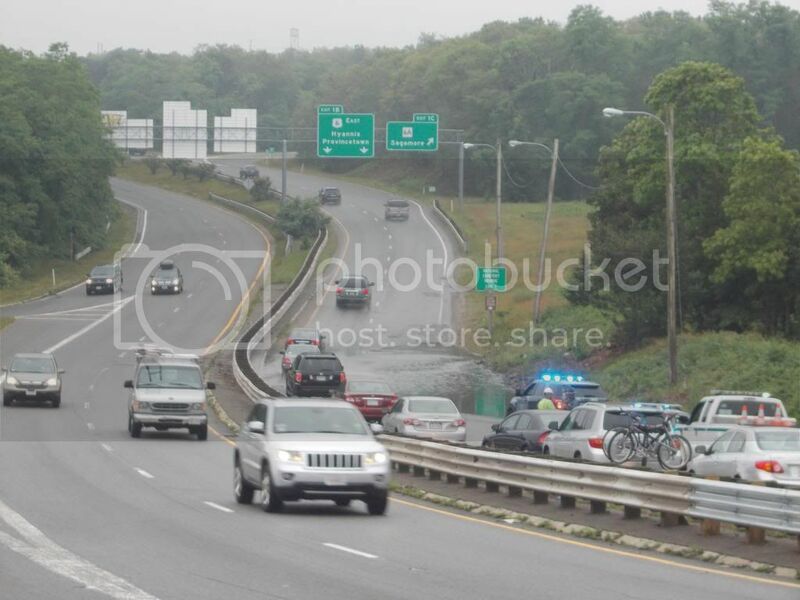 State Police are sending cars through one at a time. You can only edge around the puddle on the far left side. It should be there for the greater part of the morning. Like we said, the traffic is bad. We waved to some guy in the camper as we started walking over the bridge to take the picture above. We made it across the bridge on foot faster than the camper could drive over. The line of traffic stretches back to Exit 2 on Route 3, maybe further. The whole party started when a mammoth thunderstorm rolled through the area at 6 AM. The rain was coming down in sheets over the Sagamore area. It seems that a drain got clogged up, and chaos ensued. We'll be back with an update if needed. We'd strongly recommend using the Bourne Bridge, even with all those silly rotaries.